Let's add style to our current liabilities, contingencies, and long term liabilities! FASB, defines liabilties as: Probable Future Sacrifices of Economic Benefits arising from present obligations of a particular entity to transfer assets or provide services to other entities in the future as a result of past transactions or events. Accounts Payable (trade accounts payable) - Balances owed to others for shopping too much for items such as goods, supplies, or services purchased on open account. You can think of it like a credit card. This account results when we owe our vendors. There is a time frame between when we purchase the item on credit and the payment for it - which in this case, results at the end of the month when our credit card company sends us the bill and we send payment. In other business situations, the terms of the sale (e.g., 2/10, n/30) state the period of extended credit. For example - You will get a 2% discount for repaying your debt in 10 days, or the net payment is due in full in 30 days. When companies are offered repayment deals such as these - it is smart to take advantage. So what's a current liability? Obligations whose liquidation is reasonably expected to require use of existing resources properly classified as current assets, or the creation if other current liabilities. Current maturities of long term debt. Short-term obligations expected to be refinanced. Notes payable - Written promises to pay a certain sum of money on a specific future date. Arise from purchases, financing, or other transactions. Notes may be interest-bearing or zero-interest-bearing. Let's look at an illustration on Interest-bearing notes! **The reason Annie has a $2,000 discount on notes payable account is because she hasn't used the money, so she cannot record it as usual interest expense. So - zero interest bearing notes do have interest, it is just hidden in the amount borrowed. This is why the contra liability discount on notes payable account is used. Because it is "zero-interest-bearing." The discount on Notes Payable account is a contra account to Notes Payable. Over the life of the note Annie borrowed, she will charge the discount on notes payable to interest expense. Why? Because she's had use of the money. Let's try another exercise similar to what we have already learned! The following are selected 2011 transactions of Elle Fashion Corporation. Sept. 1 Purchased inventory from Dolce & Gabanna Company on account for $50,000. Elle Fashion Corp. records purchases gross and uses a periodic inventory system. Oct. 1 Issued a $50,000, 12-month, 8% note to Dolce & Gabanna Company in payment of account. Oct. 1 Borrowed $75,000 from First Tennessee Bank by signing a 12-month, zero-interest-bearing $81,000 note. 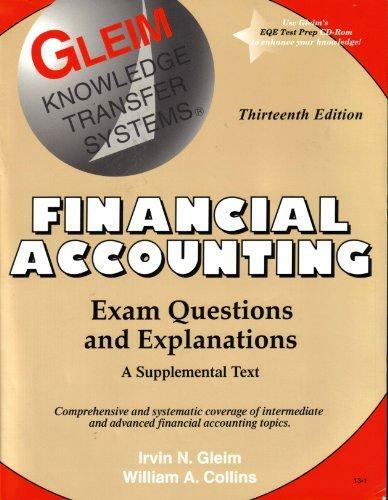 a) Prepare journal entries for the selected transactions above. b) Prepare adjusting entries at December 31. *This represents 1 year of interest. We have had use of the money for 3 months (Oct.1-Dec.31) - so we need to generate interest expense for it. 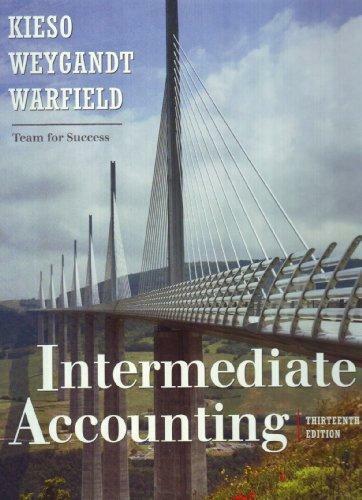 Now that you've got the hang of accounting for interest-bearing and zero-interest-bearing notes, Let's look at a few rules! 1.) Retired by assets accumulated that have not been shown as current assets. example - bonds payable, bond sinking fund. 3.) Converted into capital stock. 1.) Must intend to refinance the obligation on a long-term basis. Now let's try an exercise on Refinancing Short-Term Debt! On December 31, 2010, Victorias secret had $1,200,000 of short-term debt in the form of notes payable due February 2, 2011. On January 21, 2011, the company issued 25,000 shares of it's common stock for $36 per share, receiving $900,000 proceeds from the stock sale, supplemented by an additional $300,000 cash, are used to liquidate the $1,200,000 debt. The December 31, 2010, balance sheet is issued on February 23, 2011. Instructions: Show how the $1,200,000 of short-term debt should be presented on the December 31, 2010, balance sheet, include note disclosure. On December 31, 2010, Natural Health Spa has $7,000,000 of short-term debt in the form of notes payable to First Tennessee Bank due in 2011. On January 28, 2011, Natural Health Spa enters into a refinancing agreement with First Tennessee Bank that will permit it to borrow up to 60% of the gross amount of its accounts receivable. Receivables are expected to range between a low of $5,000,000 in May to a high of $8,000,000 in October during the year 2011. The interest cost of the maturing short-term debt is 15%, and new agreement calls for a fluctuating interest rate at 1% above the prime rate on notes due in 2015. Natural Health Spa's December 31, 2010, balance sheet is issued on February 15, 2011. Instructions: Prepare a partial balance sheet for Natural Health Spa at December 31, 2010, showing how its $7,000,000 of short-term debt should be presented, including footnote disclosure. Because we must be conservative and classify the lower amount. Dividends Payable - Amount owed by a corporation to its stockholders as a result of board of directors' authorization. Dividends payable in form of shares of stock are not recognized as a liability. Reported in equity. *becomes a liability on the date of declaration. Customer Advances and Deposits - Include returnable cash deposits received from customers and employees. May be classified as current or long-term. Example: When you give comcast a $100 deposit - this is not revenue for them, It's a liability. Unearned Revenues - a payment is received before delivering goods or rendering services. Example: Purchasing plane tickets online. There is a time frame between payment and the provided service. So now that you know everything, Let's try an exercise! Vogue Magazine sold 12,000 annual subscriptions on August 1, 2011, for $18 each. Prepare Vogue's August 1, 2011, journal entry and the December 31, 2011, annual adjusting entry. *We have received $216,000 in cash - We use the Unearned revenue account because we haven't provided the services/magazines yet. Great! Now you know how Vogue accounts for their subscription revenue! 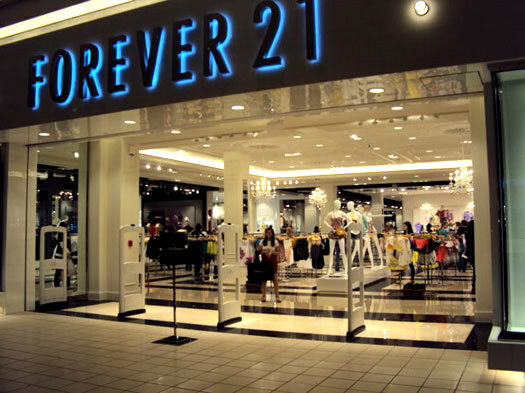 Next - Let's learn how retailers like Forever 21 account for the sales tax their customers pay! Sales Taxes Payable - Retailers must collect sales taxes from customers on transfers of tangible personal property and on certain services and then remit to the proper governmental authority. Forever 21 made credit sales of $30,000 which are subject to 6% sales tax. The corporation also made cash sales which totaled $20,670 including the 6% sales tax. (a) prepare the entry to record Forever 21s' credit sales. (b) Prepare the entry to record Forever 21s' cash sales. The tax rate is 1.06 because we add 1 plus the tax rate of 6%. Next - Let's learn about payroll! Employee Related Liabilities- Amounts owed to employees for salaries or wages are reported as a current liability. Compensated Absences: paid absences for vacation, illness, and holidays. The employer's obligation is attributable to emplyees' services already rendered. Payment of the compensation is probable. The amount can be reasonably estimated. *vest- point in time when you met your point of service. example: paid absence-vacation. *accumulate- vacation time built up. Bonus Agreements: results in payments to certain or all employees in addition to their regular salaries or wages. Unpaid bonuses should be reported as a current liability. Next - let's look at an Illustration! Let's try one more exercise related to Payroll tax entries! The payroll of American Eagle for September 2010 is as follows. Total payroll was $480,000, of which $140,000 is exempt from Social Security tax because it represented amounts paid in excess of $102,000 to certain employees. The amount paid to employees in excess of $7,000 was $410,000. Income taxes in the amount of $80,000 were withheld, as was $9,000 in union dues. The state unemployment tax is 3.5%, but American Eagle is allowed a credit of 2.3% by the state for its unemployment experience. Also, assume that the current F.I.C.A. tax is 7.65% on an employee's wages to $102,000 and 1.45% in excess of $102,000. No employee for American Eagle makes more than $125,000. The federal unemployment tax rate is 0.8% after state credit. Instructions: Prepare the necessary journal entries if the wages and salaries paid and the employer payroll taxes are recorded separately. There are two we need to calculate - Federal & State. Contingencies: An existing condition, situation, or set of circumstances involving uncertainty as to possible gain (gain contingency) or loss (loss contingency) to an enterprise that will ultimately be resolved when one or more future events occur or fail to occur. Gain contingencies: generally not recorded. This is the conservative treatment. Disclose only if the probability of receipt is high. Possible receipts of monies from gifts, donations, and bonuses. Possible refunds from the government in tax disputes. Pending court cases with a probable favorable outcome. 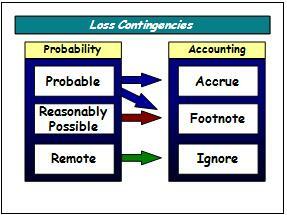 Loss Contingencies: The liklihood that the future event will confirm the incurrence of a liability can range from probable to remote. Probable. - greater than 50%? 'Probable' triggers an entry - If it is probable then you can reasonable estimate it, and therefore you accrue. If it is resonably possible - then you would footnote it. If it is remote - you would ignore it. Now let's try an exercise! Suppose Charlotte Russe is involved in a lawsuit at December 31, 2011. (a) Prepare the December 31 entry assuming it is probable that Charlotte Russe will be liable for $900,000 as a result of this suit. (b) Prepare the December 31 entry, if any, assuming it is not probable that Charlotte Russe will be liable for any payment as a result of this suit. (b) No entry is necessary. The loss is not accrued because it is not probable that a liability has been incurred at 12/31/11. Guarantee and Warranty Costs: Promise made by a seller to a buyer to make good on a deficiency of quantity, quality, or performance of a product. If it is probable that customers will make warranty claims and a company can reasonable estimate the costs involved, the company must record an expense. 2.) it cannot reasonably estimate the amount of liability. Charge warranty costs to operating expense in the year of the sale. Method is the generally accepted method. Referred to as the expense warranty approach. Farouk Systems Inc., the manufacturer of CHI hair styling products, provides a 2-year warranty with one of its products which was first sold in 2010. In that year, Farouk spent $70,000 servicing warranty claims. At year-end, Farouk estimates that an additional $400,000 will be spent in the future to service warranty claims related to 2010 sales. Prepare Farouk's journal entry to record $70,000 expenditure, and the December 31 adjusting entry. Let's try one more exercise on Warranties! Tanning Resources Co. sold 150 Royal sun express tanning beds in 2010 for $4,000 apiece, together with a one-year warranty. Maintenance on each tanning bed during the warranty period averages $300. (a) Prepare entries to record the sale of the tanning beds and the related warranty costs, assuming that the accrual method is used. Actual warranty costs incurred in 2010 were $17,000. (b) On the basis of the data above, prepare the appropriate entries, assuming that the cash-basis method is used. (b) No adjusting entry would be made using cash basis accounting. Warranties aren't so bad! Next - Let's learn about Premiums and Coupons! Premiums and Coupons: Companies should charge the costs of premiums and coupons to expense in the period of the sale that benefits from the plan. So we must accrue, estimate how many will be redeemed, and expense them. Company charges costs of premium offers to Premium expense, and credits estimated liability for Premiums.